Facebook is about to make it a lot easier for businesses to connect with their clients: today it’s introducing a set of tools that simplify private message communications between Pages and customers. Page admins will soon be able to reply to comments on posts with a private message. This should make it a lot easier to address customer requests right from the comment section. A new ‘Message’ button will appear next to the Like and Reply ones under a comment. It’ll open up a Messenger interface, along with the original comment for reference. Facebook will also inform the customer that he or she is communicating via private message. Pages that respond to 90% of messages and have a median response time of less than five minutes will now have a “Very responsive to messages” badge on their profiles. The data is based on a Page’s performance over the last seven days, though for now it’s only showing badges for the most responsive ones; there isn’t a ‘Not Responsive’ badge, for instance. There are other changes to private messaging for Page admins, too. Admins can now create and save responses, which they can pull up easily as a quick replies to common queries. They can still edit the messages before sending them though. The inbox is also getting a small refresh for multiple messages; admins can now archive, delete, flag and mark messages as read, unread and spam in bulk. Finally, advertisers can now use a new ‘Send Message’ call-to-action button so that customers can directly communicate with businesses after seeing something interesting in an ad. 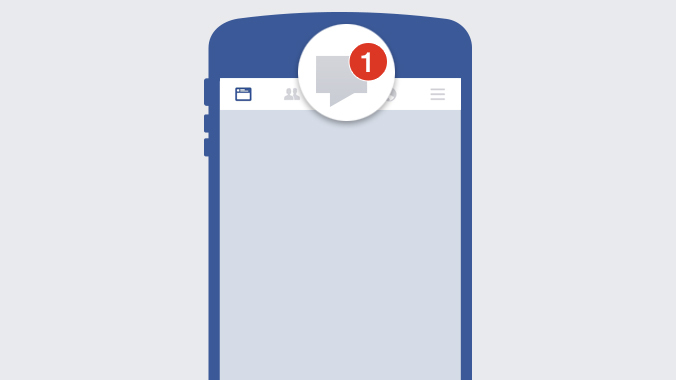 Click on the new button, and a Facebook Messenger window will appear allowing you to communicate with a business the same as any standard message. Facebook introduced Messenger Business in March as a way to help customers communicate with companies; it’s clear Facebook wants to become a more powerful resource for businesses. The added focus on messaging should help customers feel closer to the businesses and Pages they subscribe to – something that’s particular important when you can’t interact with a business in the real world. Facebook says to expect the new tools to show up on Pages over the coming weeks.